follow my advice and put a development plan in writing. Wow. The second most important thing was another client who sent me a draft of a call report and asked if it was I have been telling him to do for months. And the next was getting to a bi-weekly meeting with yet another client and having them whip out a moves management grid with their top 25 donors listed. “Thought we would try this instead of spending half an hour each meeting flipping through our notes to find our top prospects,” the development director said. YES!!! These are the things that make me feel like a million dollars. Clients who see the light and recognize that everything I am telling them will make them better fundraisers. Not because I said so, but because these things make sense. Fundraising, I assert, is as much a science as an art. Being perky may be a good quality for a development director, but I’ll take organized and in love with follow up over perky every day. So here’s a challenge: Instead of moaning about how busy you are (and you are, I know you are), take that time and think about what you should be doing instead. Don’t, however, only focus on tasks. And don’t simply tick off that task once it is done. Remember the bigger picture. Don’t think only about the one thing you have to accomplish, but think about all the things that could be affected by that one thing. So you have to write an article for the newsletter. What else could that article be used for? How else could you use the newsletter? How could it be a cultivation or stewardship tool? What will you do with the newsletter after it is published? What could you do with pieces of the article you spent so much time writing? While you are thinking strategically, consider tools like the ones I’ve mentioned to help you in your work. (And yes, feel free to email me for samples). What other things will make your work easier? In my office, I have a flip chart where I keep a list of my clients, workshops I’m going to be doing, proposals I have out, and projects I’m working on. I put on that chart what I need to be doing for each. I look at this every single day and make sure that I am on time with the things I need to do. When I was full time fundraiser, I had a folder for every major donor I was currently involved with and a excel sheet for them and everyone else I wanted to be involved with. I looked at these regularly and thought about the things I had to be doing with each and every one of them. The more you have clarity about the work you need to be doing, the more work you can actually get done. For with clarity comes what I always think of as the magic bullet of fundraising (and everything else)–consistency. Doing things with regularity and constancy. Brilliance may be something we all desire, but the truth is, a boring plan done with consistency will trump random moments of brilliance every single time. 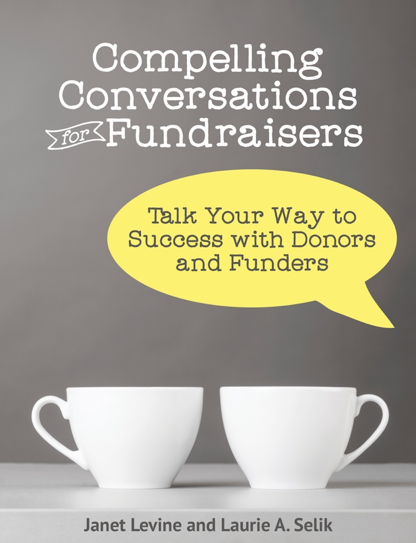 Janet Levine works with nonprofits to improve their fundraising results. See how at www.janetlevineconsulting.com. While there, sign up for the free newsletter and contact Janet for a free 30-minute consultation. This entry was posted in fundraising, productivity and tagged clarity, consistency, Fundraising as a science, tasks to do. Bookmark the permalink.